There’s a lot more to a move than just finding boxes and packing. And that is doubly true for a long distance move, where all your knowledge of your old city, the service providers and daily routines are now out of the picture. So get organized early. Create or download a checklist that will will help you track what needs to be done with deadlines. For out of state moves, make sure you include on the to-do list that state’s requirements for DMV, voter registration, school enrollment (vaccinations, test scores, etc. ), and other items you may need, like finding jobs and medical insurance. If you are moving to another country, check with their Consulate in your area or the American Embassy at your new location as they will have a list of things you should know and take care of for the local area and the country you are going to. Keep your checklist current and add new items as soon as they come up before you forget about them. Start assembling your important records, everything from your passport and identification cards to lease or closing documents. Include a list of important contacts in case of emergency as well as for vital services (like utilities at the new place). Prepare a box or briefcase of these important papers to take with you personally when you travel. Do not put them on the moving truck. Remember to keep all your travel receipts. Some work-related moving expenses may be tax deductible, and these records will be helpful for tax purposes. Your homeowners’ insurance will cover your belongings before they leave your home, but you will not have coverage for your belongings once they are on the road. Move insurance is essential to protect your items in transit. To help you with understanding and choosing the right coverage for your situation, familiarize yourself with some of the Federal regulations that protect you during a move. Take time now to read about your rights and responsibilities when you move. This knowledge will help you make the right choice of mover and not overspend on move insurance. You should not try to bring everything with you. Spend time laying out your new home and decide what will fit and what won’t. If you can’t picture it in the new place, discard it. Sell, donate, or discard things that are not essential. A truck weighed down with these items costs more to pack, move, and unload. Give potted plants away to friends. Avoid packing hazardous items (such as chemicals, charcoal, cans of paint, and propane tanks) or perishables (foods or liquids in containers that may break, ruin other packed items, and attract vermin). Take time to organize things with the “big picture” in mind, rather than randomly packing. Create an inventory that has details for major items, fragile materials, and valuable heirlooms—”Box 5: Kitchen dishes/flatware”–and take pictures so you can re-create settings and document the condition of valuable items before packing them. Think twice and make sure you have enough room for the things you plan to bring if you’re downsizing. Don’t pay to move it if you can’t use it! Put your identity on each box and other markings designating contents or location to expedite unpacking. Use sturdy boxes, cushion contents within them as necessary, and pack containers full whenever possible to limit damage if a box falls on its side. Use only sturdy boxes that can withstand the trip. Remember that many hands may touch the box along the way from packing to unpacking. Use colored tape or markings so boxes may be unloaded directly to the proper room at your destination without the need to open and inspect first. Clearly mark (and pack last) boxes with items you will need almost immediately upon arrival, like pots, dishes, and the coffee maker. Do you need that bulky winter coat in Las Vegas? Probably not. How do customs, climate, and local laws differ? On a more practical basis, learn if there are restrictions on when you can move in, whether you need to notify a property manager, and if narrow roads or gated communities can accommodate a large truck or if you may need to shuttle the contents from a different staging location when you arrive. Consider scheduling painting, carpeting, or other “big” remodeling tasks before the loaded truck arrives at the new place. Long-distance moves require greater flexibility. Weather, traffic, road conditions, and other unforeseen circumstances may affect your timeline and cause delays. Keep a couple of boxes of clothes, shoes, toiletries, and other essentials with you along with your important documents box. 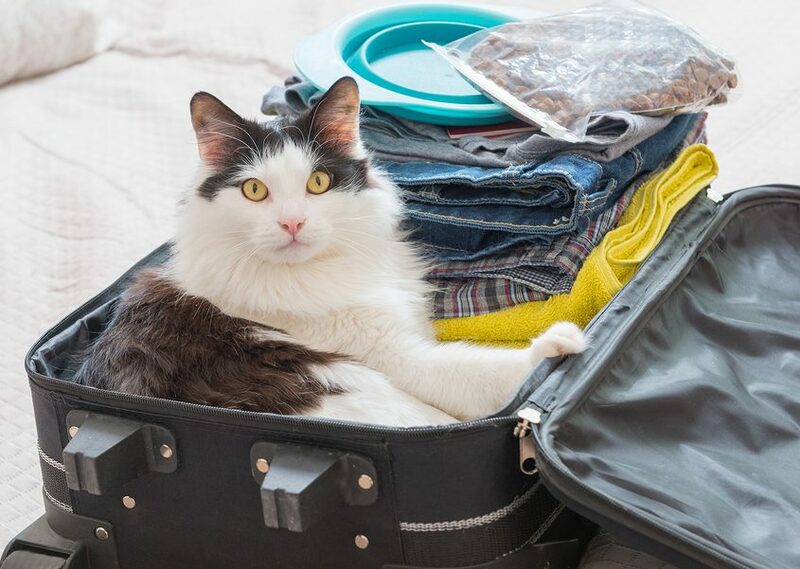 Be sure to plan for your pet’s travel with extra food and supplies, and a contingency plan for any delays. Locate pet friendly hotels along the route ahead of time just in case you have to make an unplanned extra stopover. 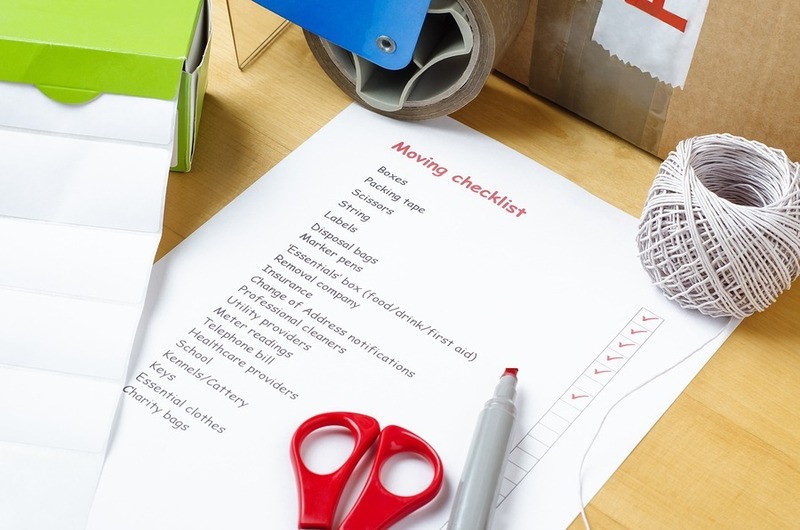 Planning ahead, making careful decisions and traveling light will help you save money on your move. Read here some of our best money-saving tips for your upcoming long distance move. Before hiring a mover, check out their online reviews and their website to be sure they are licensed and have experience with your type of move. Call and arrange for a quote. This is a great time to check out their professionalism and get all your questions answered. The mover should always give you a written quote and never ask for cash up front. Move 4 Less is an independent, locally owned Las Vegas mover with over a decade of experience handling thousands of moves. We pride ourselves on delivering affordable and professional moving services, whatever your need. Give us a call for a quote for your long-distance move to or from the Las Vegas area.